Are you looking for a book that covers both the metaphysical as well as non-metaphysical side of understanding and using crystals? 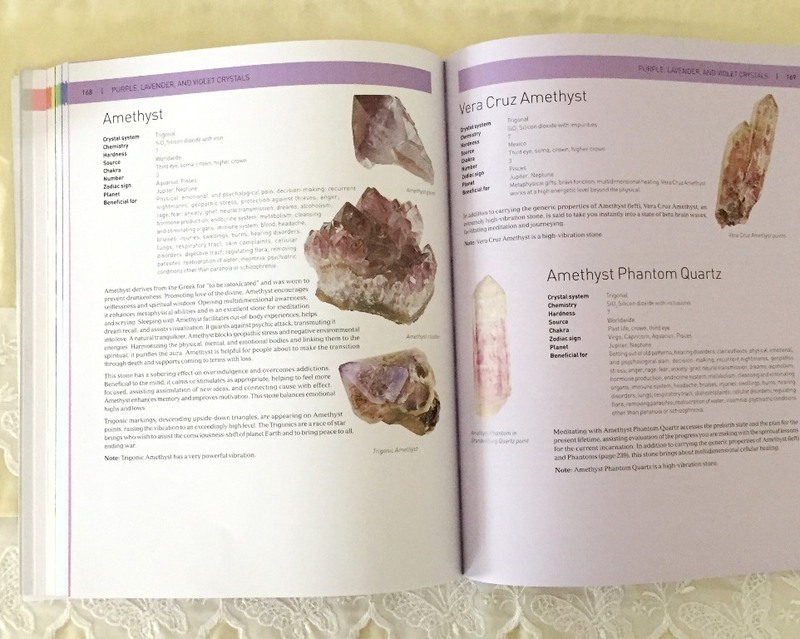 The Encyclopedia of Crystals by Judy Hall may be for you. Why this book? About a year ago I reignited my love for stones and found I needed to dust off my memory, too. Pardon the interruption. Back to the story. In the past picking up rocks and connecting with them was a highly personal, highly enjoyable experience. Fast forward several decades and so much of my life changed. This time around I wanted to connect with them on another level. Enter Judy Hall’s book. Her book, The Encyclopedia of Crystals, was recommended to me at my local metaphysical shop (yes, we’re going there and talking woo). Even though I wanted something a little heavier on the geology side there was enough in here to get my feet wet. I took the book home along with a crystal (although I can’t recall which one). TL;DR This book has been a solid purchase. 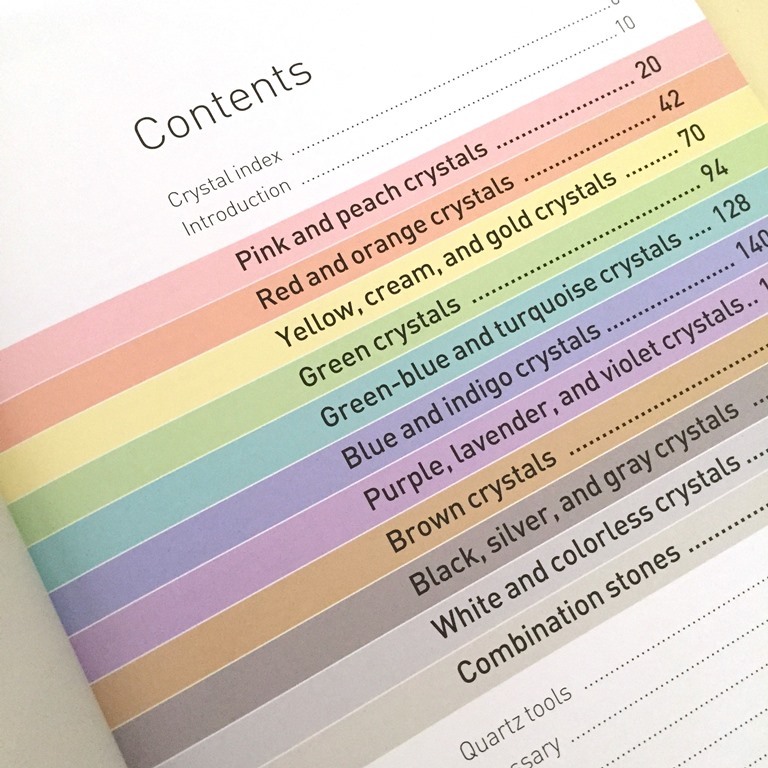 The way The Encyclopedia of Crystals is set up is unique. There are two indexes, in two different parts of the book. The first index is up at the front and is an index of the crystals covered in the book. The second is located at the end and focuses more on metaphysical properties of the stones including such themes as “calming,” “earth,” “happiness,” etc. In fact, I did a video on it if you’d like to see a quick flip through. As for the heart of the book, it is organized by color. This is great if you have a stone you are trying to identify. However, some stones come in an array of colors so be prepared to be a bit flexible and open minded as you search for the information you need. The same can be said for looking up stones by property. The second index is good, but it is far from exhaustive. Personally, there are several times I’ve looked for certain meanings only to find them omitted from the index. With the descriptions of each stone quite thick, it is surprising the index is as light as it is. However, it works well enough. As for the crystals, themselves, she includes color photographs which are quite helpful. The descriptions are also thick. (Sometimes it seems some of the crystals can solve an endless array of complaints.) Personally, I live by the advice, “take what works and leave the rest” and apply that to this book, too. The author includes some very basic information for each stone at the beginning of each description. These include its crystal system (think hexagonal, trigonal, etc. ), chemistry, source (location), hardness (Mohs scale), planet, number (I honestly have no idea what that means), chakra (still don’t understand those) and zodiac sign. There is a quick summary for what each is beneficial for right at the top with an expanded description below. The Encyclopedia of Crystals by Judy Hall is a good book for anyone wanting the basics about working with crystals and includes a little bit of geology in the process. I’m happy it’s part of my home library. I’m also looking forward to adding a few more books on the subject as it is far from complete. A rock nerd, I am looking to add something a bit heftier on the geology side of things. 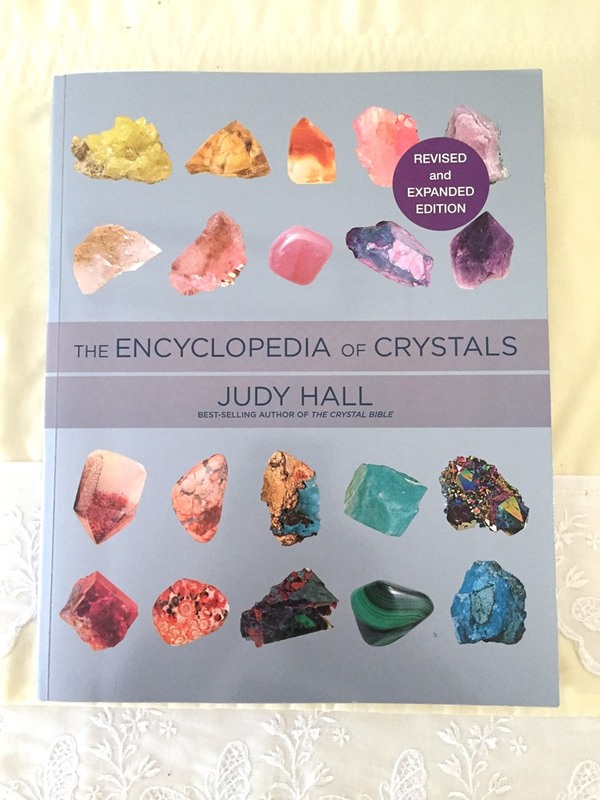 But, again, if you want a few basics, The Encyclopedia of Crystals by Judy Hall is a solid one to start with! Have you read it? Let me know what you think in the comments below!